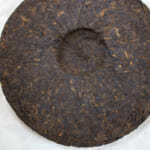 We have just Mang Fei raw pu-erh tea. 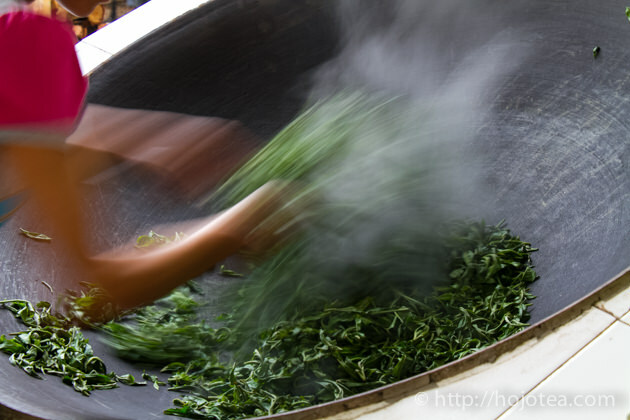 Mang Fei is one of four famous tea production areas in Lincang. 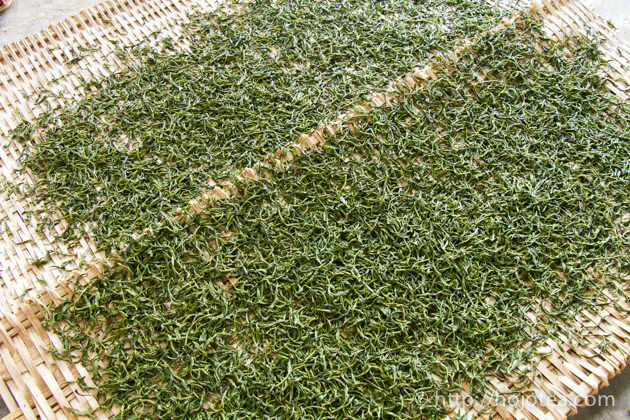 Generally, the tea production area located at south Yunnan such as Bu Lang Shan, Yiwu and Lao Bang Zhang are historically very famous. Due to high market demand, price of the tea from these areas are very expensive. Recently, the road condition to access these production sites has been drastically improved too. 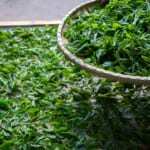 As the road condition improves the general publics are able to access tea production areas and thus further pushing up the price of tea. In Yunnan, it always happened that when the price of tea starts increasing, the farmer changes their traditional agricultural practice. 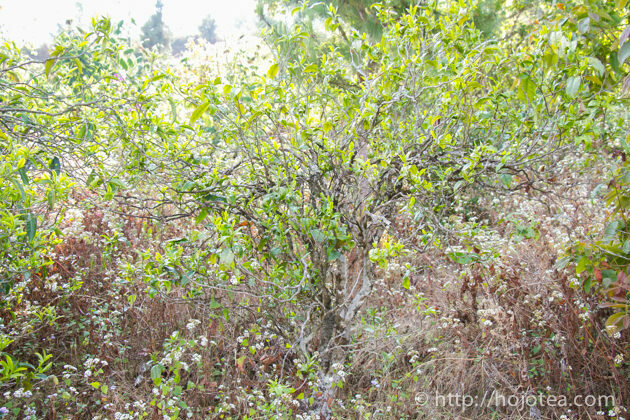 In South Yunnan, it is very hard to find naturally grown tea tree that uses no fertilizer. Even if we do find it, the price is super high. Once we see the bare soil around the tea tree, it is a yellow light. There are four well-known places in Lincang, and they are Bing Dao, Xi Gui, Ma An Shan and Mang Fei. 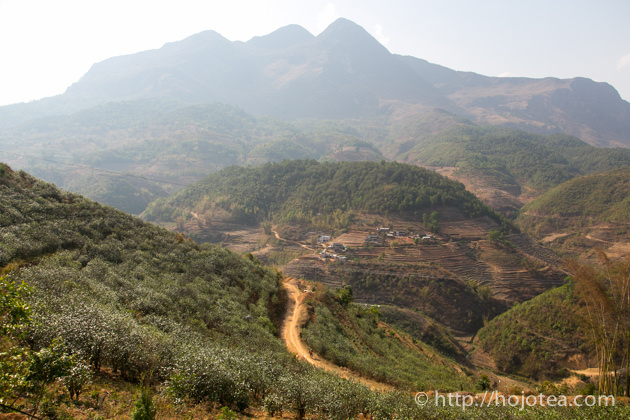 These four places mentioned above are famous among Chinese Pu-erh tea lovers. Mang Fei is a small village that is very close to the Myanmar border. In Chinese, Mang Fei means Busy Lung. I believe the name of this village originated from the pronunciation used by the local minority tribes. Of course there are many other small villages that produce good quality tea as well but arent’ as famous as the ones mentioned. Tea from Mang Fei has a distinctive characteristic and that is strong body This is so because, there is a small river running through the village of Mang Fei and this is an indicator that this river contains high minerals that carries through the soil that gives Mang Fei’s distinctive cup characteristic which is strong body. There is another village known as Meng Ban that is located down-stream of this river. The tea collected from this village also gives quite strong body, although it is less than Mang Fei’s tea. 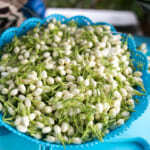 In fact, many teas being sold as Mang Fei does not originate from Mang Fei but Meng Ban. 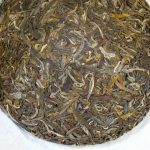 You can tell if you have ever experienced the genuine Mang Fei tea. 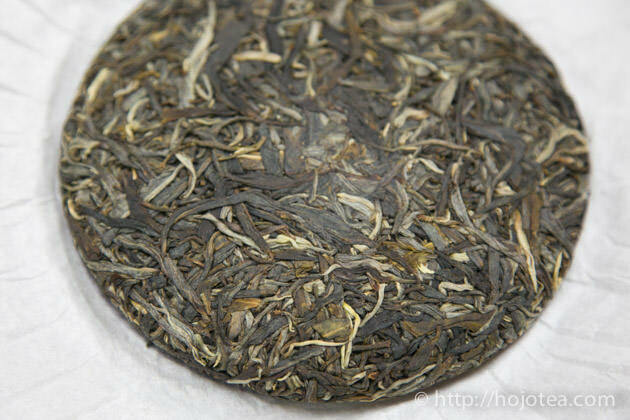 The body of Mang Fei tea is extremely strong. 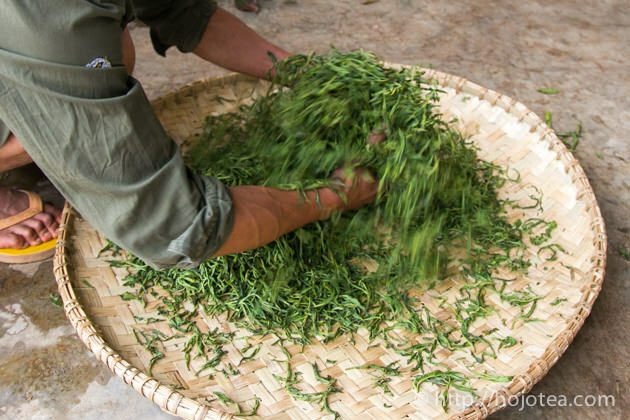 Mang fei village used to produce very good tea free of commercial farming; however, in recent years tea had been popularized and marketed by the local government. 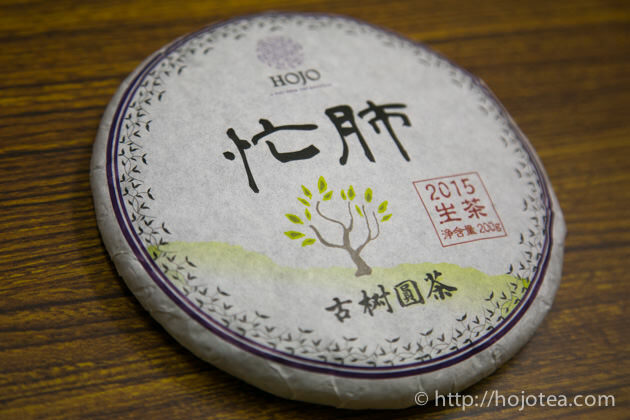 Marketing efforts includes broadcasting of a TV documentary on Mang Fei tea production funded by the government. Besides that, the government is also constructing the road thus making access to the village drastically improved. 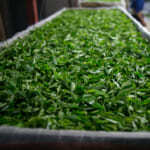 Nowadays the price of Mang Fei tea has drastically increased with the sudden price speculation stimulated by the local farmers. 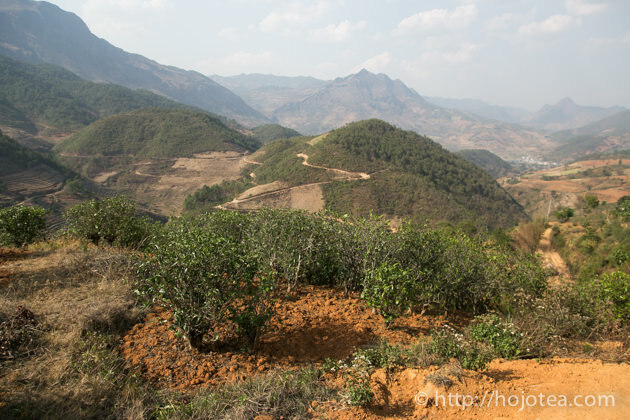 With development and modernization, fertilizer is used by most tea farmers at Mang Fei and farmers who still practice the ancient style of natural farming are scarce making it nearly impossible for us to source the right materials. 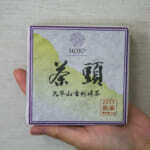 The main characteristic of Mang Fei Tea is the bold body. 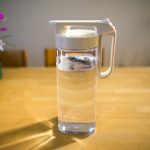 Tea has full body character. 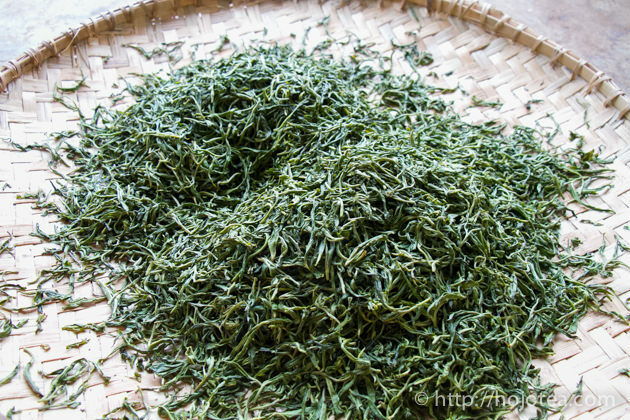 You may think that the characteristic of Mang Fei tea is a little similar to Bu Lang Shan or Lao Bang Zhang. 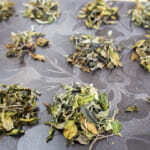 However, we cared not only the body, but also the aftertaste and hence we selected tea from the old trees grown with natural farming method. 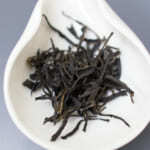 This tea is compressed in 200g and is also suitable for the long term maturation due to rich mineral content.